It is said that less than 3% of the people in the world come close to achieving their true potential. I personally suspect even that estimate is high! Why do the other 97% settle for so much less? It’s because they don’t allow themselves to even imagine what could be possible in their lives — let alone pursue it. And if you can’t imagine it – you’ll never create it. Every successful person I have ever known has said the same thing about where true success and achievement begin: It’s in the dreaming of (and commitment to) big, expansive, “seemingly impossible” dreams. There’s simply no faster way to dissolve any personal “limitations” than to have a really big dream. To focus on the wonderful life you’re creating – and the achieved person you are becoming. When you begin to create truly big dreams, your self-esteem and self-confidence begin to soar almost magically! You immediately feel more confident about your ability to handle whatever life deals you. One of my former success mentoring clients is today one of the highest paid MLM pros in the entire United States. But he didn’t start at the top. After one especially intense mentoring session, Rob (not his true name) set a goal of doubling his income in the coming year – truly a major goal in this challenging business. He had no idea how he would accomplish his “impossible” goal, but he began to dream of achieving it. He looked carefully at each business builder, and discovered that about 20% of his down- line executives were contributing over 80% of his profits. In other words, he was “over investing” in his low-producers — and “under investing” in his high producers. Ouch! Rob decided to share his findings with all of his downline executives. He scheduled a tele- conference, and fully explained his thoughts to his entire downline business-builder team. He then politely explained that from that day forward, he intended to redirect his energy. Although hey would all continue to receive his monthly newsletter, only the key producers would receive personal support and coaching. 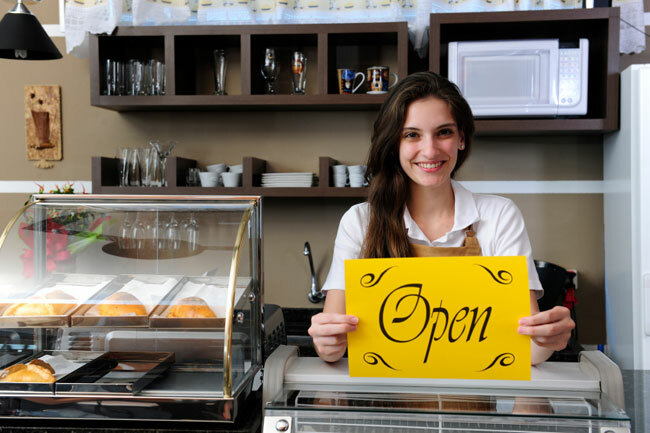 Then he encouraged all of his business builders who truly desired success to follow his lead. In effect, Rob drew a line in the sand. He then redirected his energy to create a very tight and motivated top executive team. And the team, in turn, created a profile of the type of business builders they wanted to attract. Then they jointly invested their energy and resources into a very focused advertising and marketing campaign. They began to dream – and put focused action behind their dream. RELATED: Are You Afraid to Live Your Dreams? Rob didn’t double his money that year. He went beyond that and increased it 368%. And Rob’s 20% prime business builders did equally well. A few of the previously “weaker” producers even caught the fever and began to excel. The three secrets to achieving your big dreams are: Clarity, commitment, and focus. You must have *clarity* about who you are, and what you want to achieve. 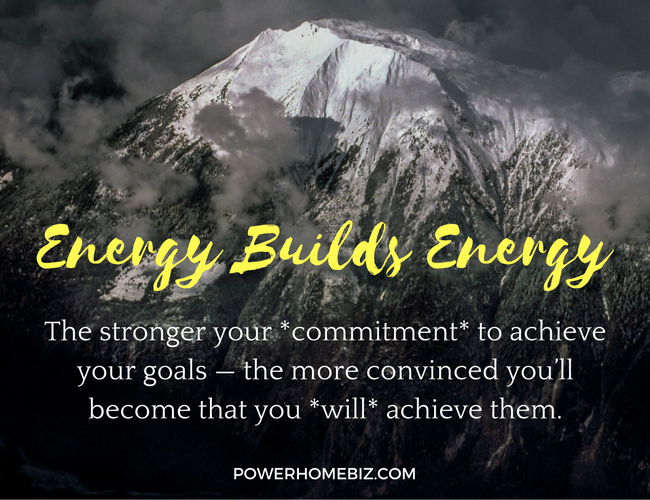 This involves truly clarifying and writing down your goals, then taking focused, meaningful action to achieve them. Like Rob, you will benefit from doing a close examination of your priorities. 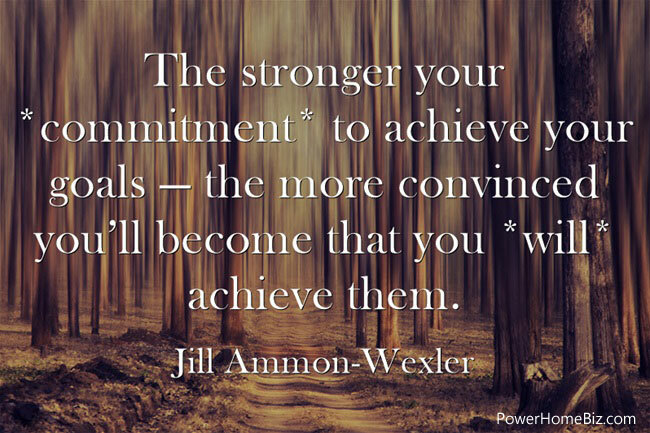 The stronger your *commitment* to achieve your goals — the more convinced you’ll become that you *will* achieve them. And the more you begin to accomplish the things that are truly important to you, the stronger your self-confidence will become! *Focus* on exactly what you want to be, have, and do. Apply Rob’s 20/80% rule to everything you do, and especially to how you *invest your basic life currency* – your time! Balance how you use your time & resources. Focus on those things that can make a real difference in your life or business. As you dream and move toward big dreams, you’ll find yourself moving closer and closer to your true potential. You’ll find this to be tremendously exciting and gratifying! Along the way you may have to “trim-away” some activities or habits that aren’t really a good investment of your time and energy – but you’ll come up stronger and more successful for it! If you want to succeed in life and in business, start by investing in a big dream. Imagine what could be possible in your life and pursue it. if you can't imagine it – you'll never create it.